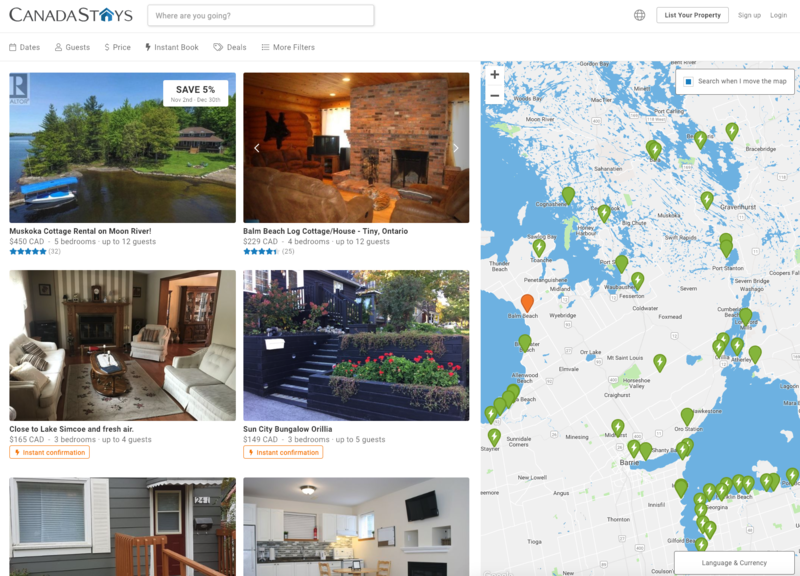 CanadaStays uses an interactive map to help find the right property for you. When you search your destination region or city from our homepage, you will be brought to a split page, half with a list of properties, the other half is a map. As you move through the map by clicking and dragging, or zooming in and out, your search results on the left side of the page will change to include only properties in the area you have specified. If you have more details you are looking for, remember to click the More Filters button and click the box next to any options you want. As you add details on what you are looking for, the map will alter to show you properties that offer those specifications. The properties will also update on the left side of the page.